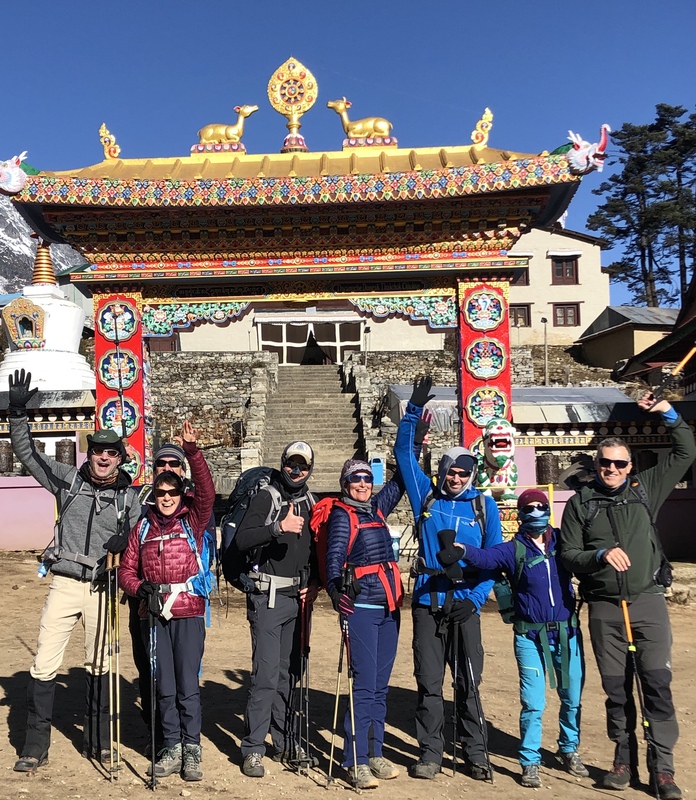 We said goodbye to the Tengboche monastery and headed up the Valley to the potato and yak farming community of Pheriche. 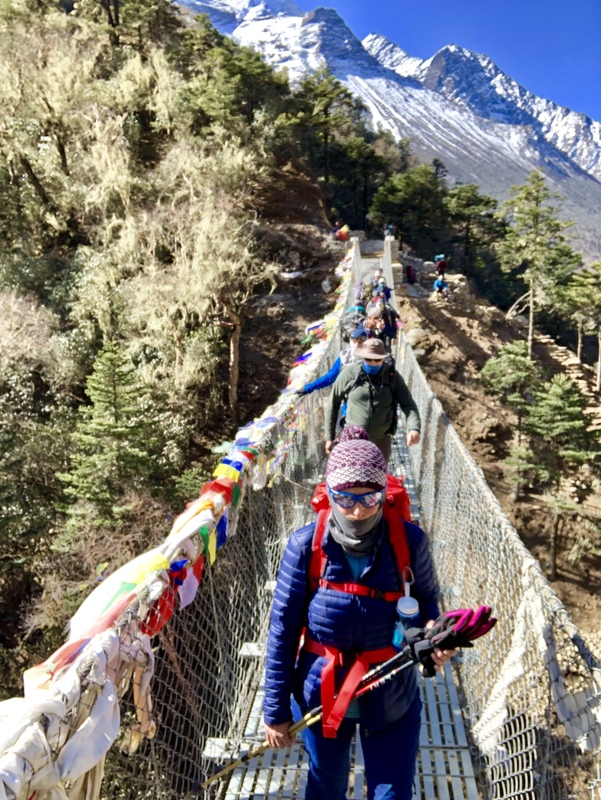 We crossed the river via suspension bridge. 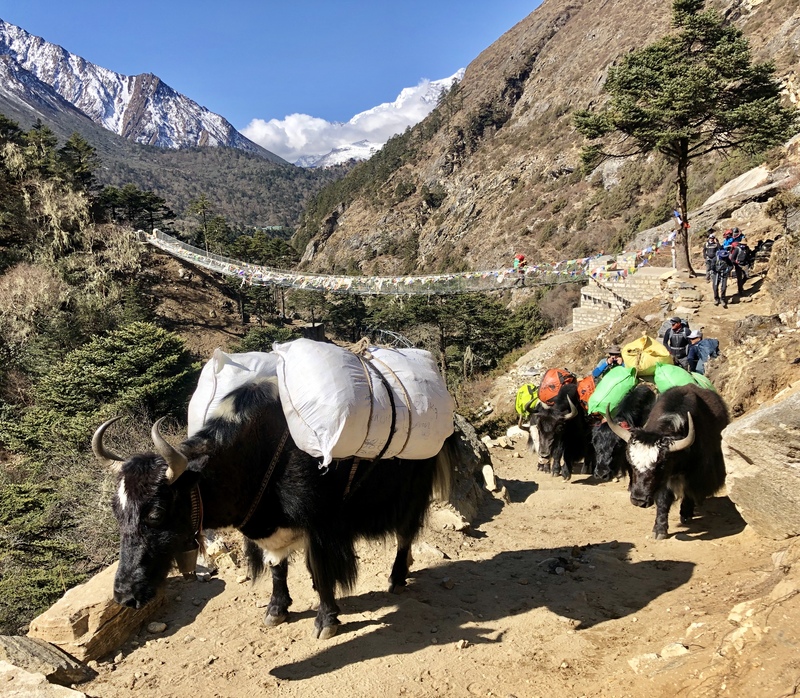 And none to soon as heavy laden Everest bound yaks filled the trail for the rest of the day. 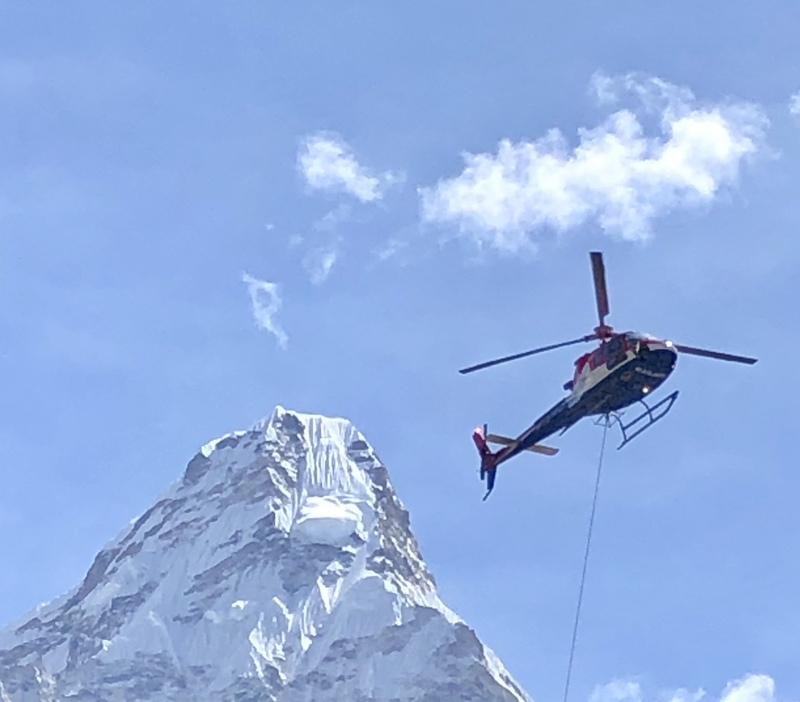 The yaks were not the only means of moving Everest material, the whirlybirds were busy too (fourth photo below). We are now at 14,000 feet and starting to feel the altitude. Yet most are sleeping well and are enjoying the views. Tomorrow is an acclimatization day so we shall sleep in!